With a few challenges and some different aspects of nature, the relationship of Aquarius and Virgo are somewhat annoying and enjoyable. They have a lot to learn from each other and give to each other. They can discover great communication and make things easy with some understanding and compassion for the other one. Virgo are perfection oriented. They are very picky and judgmental of others and sometimes of themselves as well. They first point out flaws and then look for good qualities in all the things around them. Virgo are very logical creatures and have difficulty in expressing themselves. Also they cannot stand emotional drama and keeps away from such situations. Virgo does not like to make any mistake. If they make a mess of a situation they do all that needs to be done to rectify it. They like to live a life of simplicity and decency. Virgo are always up for a new challenge. They are well balanced with intellectual minds. They are typically cool headed and reserved. Without responsibility and challenges life is meaningless to them, and they can never reach their full potential. Aquarius are oddballs by nature. They can easily become detached from the rest of the world. They can be viewed as insane and genius all in one conversation. They are one of the few people who rarely live in the past or moment. They are very comfortable living in their own world of ideals and dreams of the future. Aquarius have many shades of nature, they can be sensitive, gentle and patient, and they can also be eccentric, lively and extrovert depending on their mood and analysis of situation by them. Both the ways round, they never lack their strong intuition and the intellect. At their best, this couple will enjoy one another greatly on an intellectual level, and there are some things they can learn from each other. Virgo can learn to see past the detail and into the bigger picture, while Aquarius can learn to put some solid footing beneath their grand plans for a progressive world. Both signs are loving and caring in their own way, and there is a lot of mutual kindness. Neither will hurt the other for the sake of it, and they will try hard to get to grips with their elusive relationship. 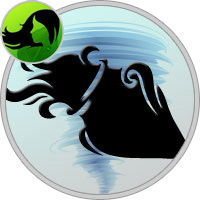 Ultimately, however, Aquarius and Virgo compatibility over the long term is an uphill struggle, unless other planets in the partners’ birth charts indicate at least some fire or water connection between the two. While the Aquarius are somewhere in the future, the Virgo are analyzing the past and dissecting the present. These two find each other intriguing, but prefer to keep distance from one another. There is no magnetic attraction between the two. Any relationship between Aquarius and Virgo is typically forced by others and has an affect of other people around. While Virgo apologizes at ease, the Aquarius does not understand the meaning of an apology. Both are intellectual by nature, but their minds are usually in different arenas. The Aquarius employ their mind with new age ideas, while the Virgo enjoys using the scientific method to break down old theories of the past and present. Virgo cannot understand the Aquarius’ lightning fast intuition. To Virgo, the Aquarius’ intuition is a bunch of superstitious garbage. They both are careful and responsible when it comes to money. The Virgo care too much about what others think, while the Aquarius care too little. The Aquarius have superior wisdom that has taught them that they can not change the way other people choose to think or feel but this is not in Virgo. Aquarius can teach the Virgo spontaneity, while the Virgo give the Aquarius a much needed education on discrimination. The two are both humanitarians by nature. The difference is that the Aquarius has the greater of good mentality meaning they would rather save a group of people opposed to one. If an Aquarius finds error in a relationship with another person they end the relationship altogether. They do not require perfection, what they truly want is loyalty and respect and when that is gone the connection is gone forever. An Aquarius can forgive, they just can’t forget. Aquarius and Virgo sharing different relationships have different experiences with each other. If they are siblings or colleagues, they are both helpful and friendly. While as friends they make less companionship as they don’t really agree with each other’s view. Being relatives is just an obligation for both of them as they don’t try to interact much with each other. As business partners they can create miracles of success and fortune as they both are intellectually strong and give due importance to money in their life. As spouse and lovers they may have to face some tough times but with sincerity and devotion they can make things work for a longer period, but permanent ties are something difficult to get in this combination. As for parents and children, they definitely share a great bond in both the ways whether Virgo are parents or Aquarius are the parents. Aquarius and Virgo have to face a lot of struggle in the relationships they share as they both have different approach for everything. Virgo are unable to understand the over friendly nature of Aquarius and Aquarius can’t understand the criticism Virgo hold for everything in life. They are both opposite poles and have nothing much in common in personal as well as professional life. But when working together the Aquarius and the Virgo can intellectually move mountains. The Aquarius rarely takes advice from others, so the Virgo becomes overjoyed when the Aquarius follows their good sound advice. Virgo cleverness and clear thinking, combined with Aquarius’ inventiveness and genius, could be just the magical alchemy anyone can ever need together with the innate kindness and concern for others. When an Aquarius male marries a Virgo lady, she gives everything to make their marriage perfect. She is always there to take complete responsibility and care of her man and his family without expecting anything in return. This makes him more relaxed and careless towards his family causing distress in the relation. Otherwise, he is also a great partner to her. He does everything to keep her happy. He achieves wonderful heights in his life which impress her and make her feel proud of him. But her critical remarks can sometimes cause problem in the happy and smooth life as she is born with a critical mind. He makes her more relaxed and helps her experience new shades of life. He may sometimes neglect her when he is too much engrossed in his work. This may again lead to differences between the two as she feels neglected by the man she loves the most and around whom her world revolves. With time, as she learns to trust him, she is able to gift him with all the freedom he always desires. When they both begin to understand each other, they experience beauty of pure love which surrounds them. They are able to reach a state of unison when they love each other’s company and enjoy sharing each other’s dreams. They promise a stable and long-lasting relationship with each other which is a result of efforts they both put in making their bond of love more beautiful.